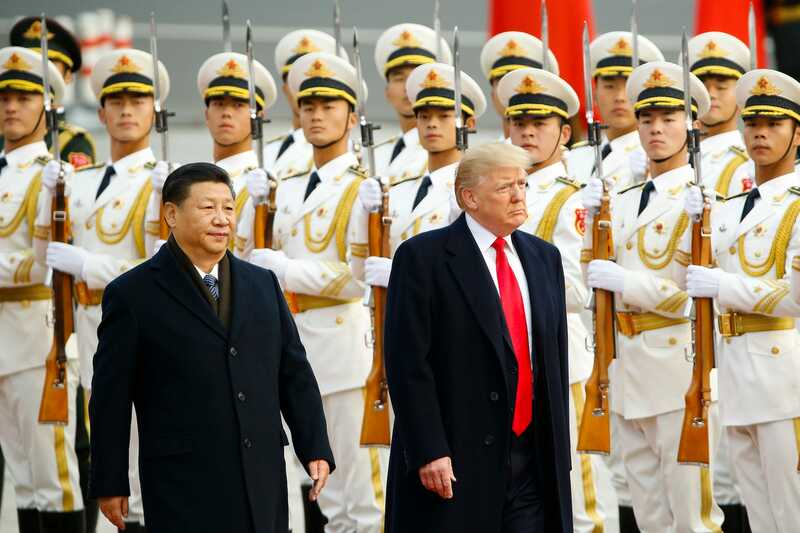 The Trump administration has hit China with tariffs on $US250 billion in consumer and industrial goods so far this year, and now sanctions tied to Beijing’s arms deals with Russia are being added to the mix. The Equipment Development Department oversees procurement of China’s defence technology. A State Department official said the sanctions were related to China’s purchase of 10 Russian-made Su-35 combat aircraft in 2017 and of Russia’s advanced S-400 air-defence system, which China bought in 2014 and started received in early 2018. While the legislation was under discussion, US defence officials requested exceptions be made for those countries that worked with the US but still needed to buy Russian arms. But as of early September, when Defence Secretary Jim Mattis and Secretary of State Mike Pompeo met their Indian counterparts in New Delhi, Pompeo said there had been no decision on action over India’s purchase of the S-400. 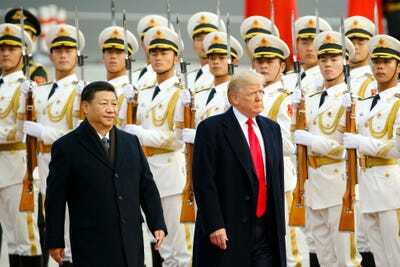 Getty Images / Thomas Peter-PoolTrump with Chinese President Xi Jinping in Beijing.